When Stringfellow Hawk killed Dr. Charles Henry Moffet who had killed the love of his life Gabrielle, little did Stringfellow know Moffet had a son. His son got ahold of the blueprints for Airwolf and created a new Airwolf leading to the battle of the century. 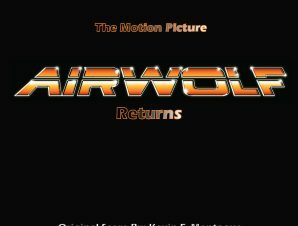 As Moffet's son creates global havoc with his improved Airwolf model, the old Airwolf rises up to meet the challenge in AIRWOLF RETURNS. 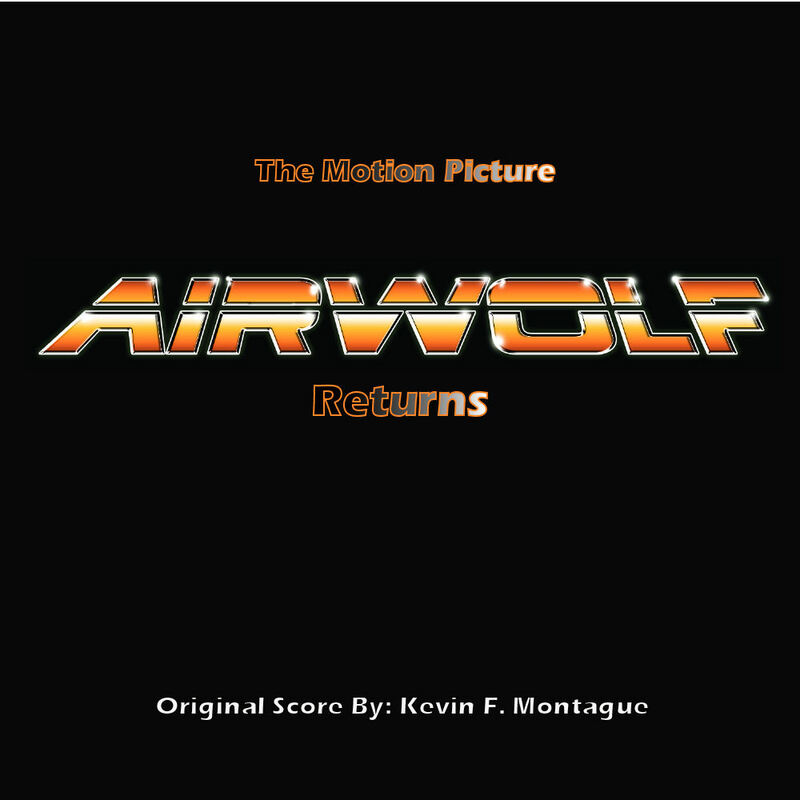 Hear my original opening score as the motion picture opens up to reveal what has transpired since Airwolf was first launched back in 1984! To all my Airwolf fans all over the globe! ENJOY THE MUSIC NOW AVAILABLE THRU CDBABY! / Click Here to Learn More! I’ve been learning that many who are current day Airwolf fans, both young and old, would love to see a new motion picture made, capturing the theme of the old television series from 1984. With that said, I went to work this past year to write an orchestration score I’m now offering off of my CDbaby artist site. The result is this beautiful new movie score! 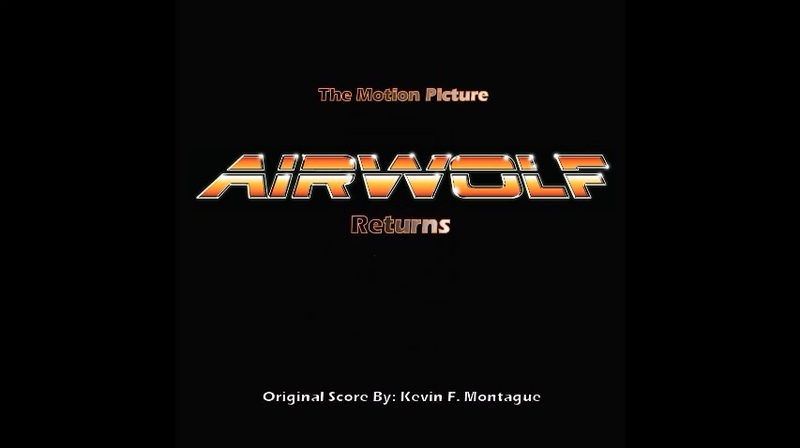 While I know of no such real movie work being made as I write this titled “AIRWOLF RETURNS – The Motion Picture”, I thought in order to help meet the fantasy fulfillment of all the Airwolf fans in the world, I’d render this arrangement to how such a score might sound today, using today’s compositional way of thinking behind movie score writing. I loved the old television series too and always wanted to do a modern day orchestration of the theme. I finally have done that. While true; no current motion picture has come out yet with the release of this musical score I’ve done, who knows? It might spur a door to open, by inspiring a motion picture indie to take on the project. If that happens, I would love my score to be used to open the motion picture film. Why did I write this score the way it sounds? Well, I envision a scene in the new movie where two new recruits comes along to replace an aging String-fellow Hawke (Jan Michael Vincent) and a deceased Dominic Santini (Earnest Borgnine). The new recruits are told where the cave is that houses Airwolf. Dr. Moffet’s son has appeared earlier in the movie and has created a up-scaled version of Airwolf, causing havoc in the world and the old Airwolf is needed for battle. String-fellow is old and aging and Santini has died, while two new pilots take over the controls, which the former pilots use to hold on the super aircraft. Little does anyone know that modifications were made to Airwolf, while she was in her dormancy. The five minutes of my score takes her on her new maneuvers to show the new pilots what she can now do. These new modifications will be needed to face Moffet’s son in battle. Dr. Charles Henry Moffet was the original designer of Airwolf, as the story goes, who was killed in the 1984 television pilot story. Take me to your Bluefire music Facebook site! Take me to your Bluefire Music Twitter site! of the new music score . . .
You can see more how the score was created on my Bluefire Music Enterprises Facebook page. Use this link to see the photo album that will walk you through a little, to how the new score was created!